Since CQUniversity first set our course to drive social innovation, I’ve had the opportunity to meet a lot of changemakers, and see a lot of social enterprises in action. Visiting the Seven Women in Nepal today has been the best experience yet. Here, I’ve been able to see and understand just how much impact a simple but strong idea, backed by a good business model, can have on an entire community. With a mission to empowering marginalised women through education, skills training and income generation, Seven Women is a social enterprise in Kathmandu, which raises funds through sale of hand-crafts. Founded by young Australian social entrepreneur Stephanie Woollard when she was just 22, since 2006 the organisation has educated, trained and employed more than 5000 local women, transforming their lives. For the vast majority of these women, it’s the only opportunity they’ve had to generate a living wage, and to invest in their futures. The “Seven Women” that give the organisation its name were seven disabled women whom Stephanie saw and befriended while travelling in Nepal. Working in a tin shed for a pittance, the sight of them first prompted pity – but when Stephanie actually started a conversation, she realised their huge potential, and her passion found a way to help them capitalise on it. Led by a fantastic team of local people, Seven Women is looking to grow its mission, and its reach.Since 2014, a range of CQUni leaders have been building a relationship with Seven Women.It was Associate Professor (Indigenous Engagement) Henrietta Marrie who first met with Stephanie Woollard, and they compared notes on empowering and advocating for Indigenous women. Prof Marrie introduced Stephanie to Miriam Ham, a Senior Lecturer in the School of Education & the Arts, who this year travelled to Nepal with Dr Jay Deagon (Home Economics) and Dr Wendy Hillman (Nursing). 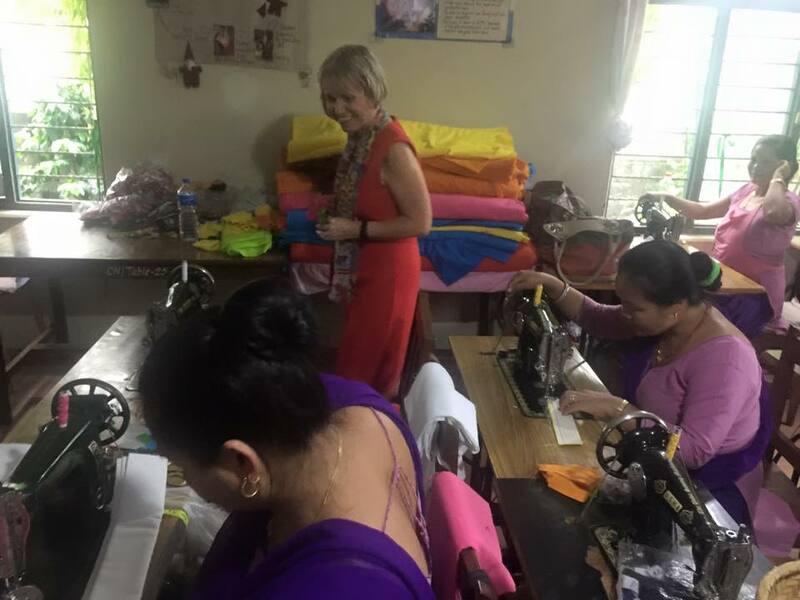 Supported by a CQUni New Staff Researchers Grant, they delivered training at Seven Women (https://www.cqu.edu.au/cquninews/stories/general-category/2017/the-universal-language-of-food-empowers-women-in-nepal), and collected field data to support expanded training programs. In June, the School of Nursing and Midwifery’s exchange program to Nepal will spend time at Seven Women, facilitating health awareness programs. And with the support of the Federal Government’s New Colombo Plan mobility program funding, we hope to deliver a range of new exchange programs for CQUni students to work with Seven Women, across several disciplines. If you’d like to support Seven Women, head to the website and invest in their ethical handmade products (http://www.sevenwomen.org/store.html), or make a donation (http://www.sevenwomen.org/donations.html). And for any students considering entering The Big Idea social enterprise competition (https://www.cqu.edu.au/industry-and-partnerships/partnerships/community/the-big-idea), I’d strongly recommend taking inspiration from Seven Women’s transformational social enterprise model. CQUniversity has a proud history of partnership with Nepal. Here on the ground, it’s clear just how much difference our support can make.